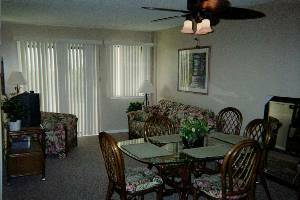 Plantation 2 bd/2 ba Condo GROUND FLOOR: Great Rates!! This condo is ground floor with two bedrooms, two bath, and only steps away from the Heated indoor pool, sauna, steam room and jacuzzi!!! There is a QUEEN BED in the master; a QUEEN BED in the guest bedroom, and a QUEEN SOFASLEEPER in the living room. 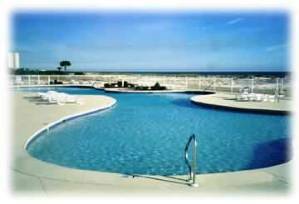 This NON-SMOKING condominium in the Gulf Shores, Fort Morgan area is perfect for everyone! Beautifully decorated, this condo sleeps six comfortably. 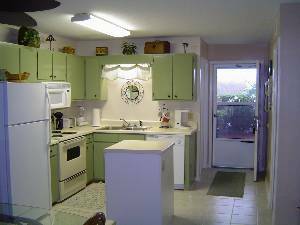 There are two full baths; a large fully-equipped kitchen with microwave & dishwasher; 3 TVs & DVDs, cable and NEW WASHER/DRYER IN UNIT. Free WIFI. 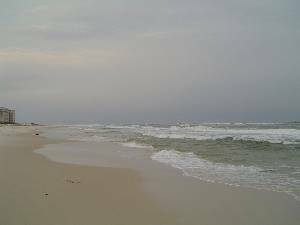 This Condo is gulf-front, limited view because it is ground floor - no steps - with a short walk to two outdoor pools and private beach area. 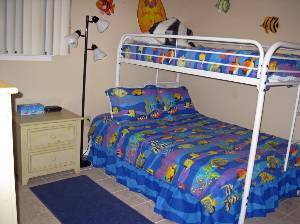 A grassy yard area make this condo a perfect setting for kids at play or sun bathing. 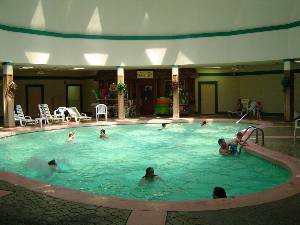 It is merely a few steps from the heated indoor pool & hot tub; sauna & steam room; beach store; game room; bar-b-q area, and conference center activities. 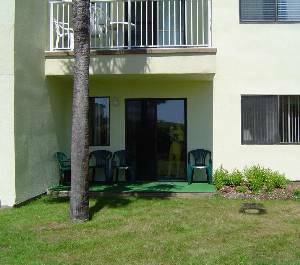 It is located right across from lighted tennis & basketball courts, shuffleboard, and horseshoes area. They plan to have a wireless internet cafe built and now there are several excellent restaurants just up the street(a NEW Tacky Jacks)at the marina only a few miles away too! Next door, the renowned Kiva Dunes golf course offers the finest greens in Southern Ala as well as elegant dining. 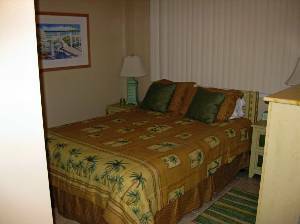 The condo is located at the Plantation Resort, with 24-hour security, away from traffic and hustle of crowds and work, yet only 13 miles from highway 59 where you'll find tons of restaurants, an incredible outlet mall, amusement parks and several other golf courses. Tennis courts/basketball court/shuffleboard/horseshoes. Also steam room and hot tubs. 6 outdoor pools. Putting green. Laundry rooms. Starbucks Internet Cafe. One of 6 Outdoor Pools! SOFTEST CLEAN WHITE SAND !!! !